2018 has been a great year for taking this program out on the road to bring you author interviews presented before live audiences. 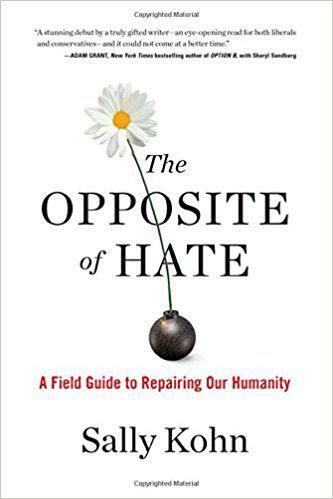 We headed over to the Jewish Community Center in Centerville to record an interview with Sally Kohn for her extraordinary book "The Opposite of Hate: A Field Guide to Repairing Our Humanity." Juliet Fromholt recorded the program for us that night and the project turned out quite well; a great book, a good conversation, a receptive audience, and a fine recording to share with our radio listeners who could not be there that evening. Thank you, everybody!